Pudak Scientific, a manufacturer of educational equipments, is a national private company located in Jl. Pudak No. 4 Bandung, Indonesia. What kind of activities does Pudak Scientific do? Pudak Scientific is a manufacturer of practical educating equipments. We arrange workshop(s) with educational institutions for improving teachers capability and knowledge about our products and how to use them as teaching support. We perform in many exhibitions for introducing our products, both in Indonesia and/or abroad. Who is Pudak Scientific customer? Our customers are widespreadly in the whole Indonesia areas, from government schools to private schools, which included international based curriculum schools. Started in 1997, our products were and still are widely used in Vietnam and Malaysia, and in 2004 in Thailand. Worlddidac is an association in educational equipments manufacturers and world training centre located in Bern - Swiss. Pudak Scientific is a member of this association. Information about Worlddidac, please click here. What are Pudak Scientific achievement? In 1990, Pudak Scientific was awarded UPAKARTI from President Soeharto as a pioneer in manufacturer of educational equipments. In 2006, Pudak Scientific was awarded GOLD AWARD of INDONESIA GOOD DESIGN 2006, educational equipment category, for Material and Their Changes Kit. How do we get price bid request and product ordering? What is the payment method do we use? Payment is in advance, in cash term or transfer into our bank account number before we deliver your order. When do we ship the order? What kind of shipping method do we use? Your order will be immediately shipped to you as soon as we received our payment. We don’t have any specific shipping method, we could use any specific courier service by your demand. Before that, our staff will contact you for choice of delivery method (by air, by sea, or by land) and inform you about the shipping cost, estimation in time, value, quantity, and type of goods. Does every product of Pudak have guarantee? We give full guarantee of our product within the first 12 months since our customer receive the equipments. After 12 months passed, we still provide a spare-part guarantee for five years. We also provide a repairing service with certain cost. What are after-sale services from Pudak? 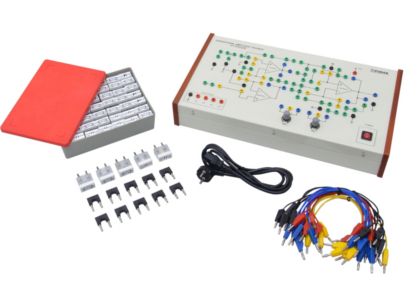 Every products of Pudak Scientific have manual instruction included and if necessity, we also provide equipment training for our products such as Physics Kit, TPS, and ATS. For training request please click here. What kind of Kits and Systems does Pudak Scientific has? Why does the price of Kits or Systems seem expensive? You may feel that Kit or System is too expensive but the truth is you will get more from buying these than its price. Kit and System consist of multifunction components. With these components student can do as much experiments in its related topic. 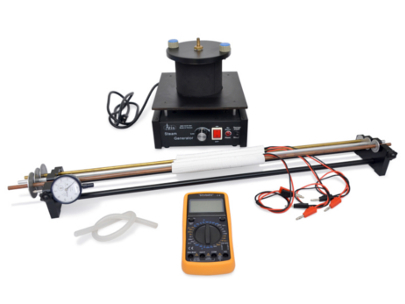 Compared with one single item using in one of the experiment and you add the whole items for the rest experiments, it will cost you more than the Kit or System. Laboratory equipments are school investment so it is best if school would buy the right equipments with good quality and proper functions. What is the advantage of choosing Kit and System type of equipment? Easy-to-use for teacher, laboratory assistant, and school for choosing the right equipments because in this type of equipment, all components have been designed in comprehensive ways to accommodate all of your need in a brief, less time, more secure, and efficient way. Multifunction components is used in different kind of experiments. As an example, statif set is used in mechanics kit, hyrostatics kit, and optics kit. Presicion rail can be used as dynamic rail cart and optics stand. 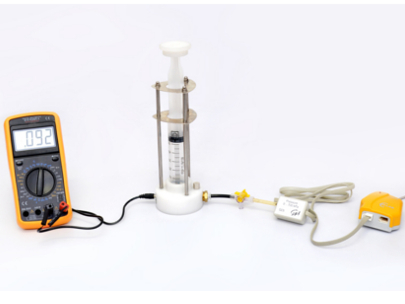 Therefore, Kit become more economical and practical considered to single item for single experiment. Experimental guidebook is designed based on curriculum (KTSP) and referring to National School Standard, with our consultant and teacher. Completed with tray and box for storage and inventorization easiness. What do customer need to consider before buying Kit or System type? 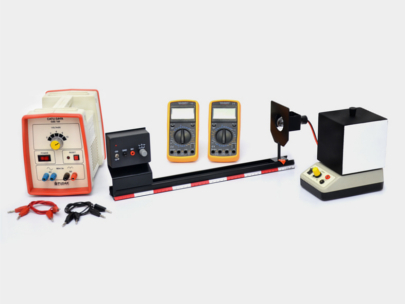 It is better for school to buy complete set of Kit or System, including their supporting equipments because some of the components are being used together in different experiment topics and it also needs supporting equipment. 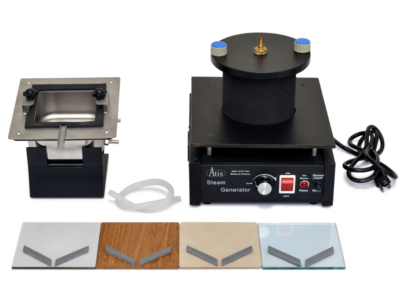 Ideally, one set of kit is for one group of experiment consist of four student. For complete detail of supporting equipments and supplementary components please click here. What is the most important thing to be considered before school buys laboratory equipments? If school buys practical educating equipments with low quality and not guaranteed, it will causing shorten wearing period of equipments. Consequently in the next period of school, you will have to rebudget for buying new same equipments. On the contrary, if school buys equipments with high quality and guaranteed with possibly higher price because the wearing period would be much longer, in the next period school can use the budget for buying another equipments for laboratory. If school wants to build a laboratoriuy room, what does Pudak Scientific be able to help? Does Pudak produce items with various quality? How to spot the difference between Pudak’s product and product from another manufacturer? Most of parts or components and equipments is marked with Pudak Scientific logo in form of fuming boiling flask with PS letters in the centre. How about the quality of the product? We only use an appropriate high quality materials regarding with its function and using a modern machinery which operated by our skilled workers, processed through a strict Quality Acceptance, therefore our customers may received the best quality of Pudak’s products. Durable and student endure design of components (student mischief behaviour to use equipment beyond its function finally resulting damage in its) for long time of wearing periods. As an example, power supplies are completed with an automatic secure, unlooseable binding post, durable and not easily breaking material, etc. What kind of material does Pudak use in their products? Borosilicate glass is heat proof and unbreakable material while being heated. Products example are reaction tube, beaker glass, graduated cylinder, boiling flask, burette, and another glasswares. Optics glass especially for lens, not just ordinary glass with greenish color. Products example are optical lenses, glass block. Plastic product moulded using plastic injection machine with mold for uniformity in shape and color, ABS plastic material and PS-HI for sturdiness and unbreakable characteristic, and clear and unbreakable SAN plastic material. We don’t use recyle plastic which are fragible and easily to break. Products example are kit’s components made of plastic, plastic lenses, etc. Stainless steel is rust proof metal with a lifetime wearing period to be compared with iron coated chrome which cost more expensive and in fact for general use the chrome coating layer will be easily to loose. Products example are statif set, burner spirituous. Diecasting aluminium, for precision products, sturdy, and uniformity. Products example are universal clamp, bosshead clamp. Anodized coated aluminium extrusion. Product example is precision rail. Automatic electronic fuse design in power supply. If power supply having experience short connection or overload power the equipment will be automatically shut down. It will be function again after you push reset button with no need to replace the fuse like in another ordinary power supply. Coating material for components is using powder coating paint in replacement of ordinary paint that is easily to be sracthed and getting loose.